Christian music is making inroads in China as more young people enjoy experiencing a new sound. Some Christians have even moved to China to participate in the latest cultural trend. Meanwhile, the next rising star in Chinese music is here. And her popularity is growing faster than ever. Since college, May has been passionate about music. Gradually, she began to write music and learned to sing in many languages. She also mastered various instruments. As a successful musician, she never stopped improving herself. “I am so happy to know that fans in China are enjoying listening to my music. They listen to my songs on the subways, on the way to work, and my songs are played everywhere in Beijing,” May told CBN News. Even though May is famous and successful today, she is also grateful for her spiritual mentor– her best friend,Ting Ting. Ting Ting was much drawn to May’s beautiful voice. She believes May is so talented in many ways. Also, as soon as she found out May is also a Christian, they became closer and closer. “Whenever I listen to their music, immediately I feel peaceful and happy. I know they are Christians. I guess that’s why their music is so special,” said one fan in Beijing. As the founder of the band, Ting Ting made clear that when they write music, they don’t create the pieces for anyone, any certain organization, but only sing for God. The hardest part is to ensure the music can be more appealing to the younger generations in China. Young people need Jesus and Christian music could be the new way. Inspired by the successful stories of Ting Ting and May, musicians from other nations also moved to China, using similar or even creative ways to tell the younger generations about Jesus. In fact, Christian music has become more appealing and interesting to the nation. Rebecca Williams was born and raised in a Christian family in Australia. Amazed by the Chinese culture, and touched by the dedication of Chinese Christians, she decided to move to China. As she traveled around the nation, God inspired her to use her musical talents to spread the Gospel in China. Williams believe music has the power to transform lives. When she sings or has her own concert, she simply uses her voice to praise the Lord. Without God, Williams is certain she couldn’t imagine doing what she is doing now. 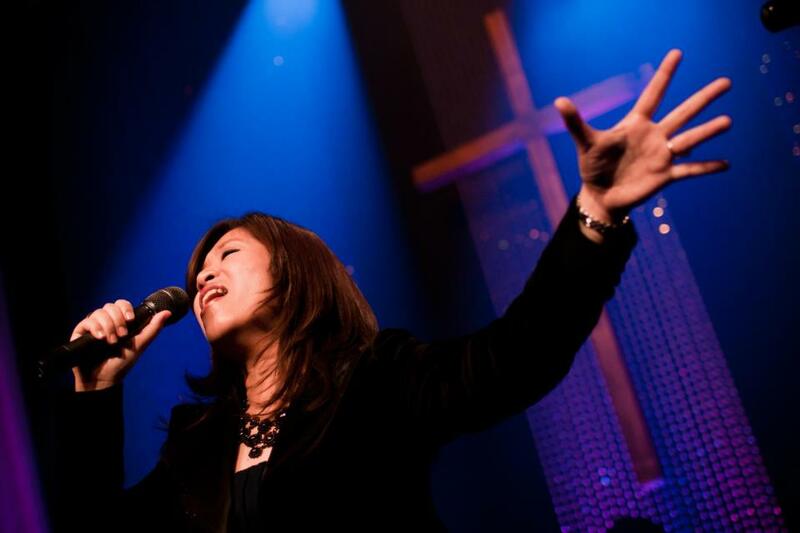 In 2010, Rebecca joined a local Christian band in Beijing. She and her team are traveling all over China to perform at various places. They share the same enthusiasm for Jesus, and music brought them together.